Two sons did an excellent job! Both merit credit for doing a job that many other children placed in similar situations have chosen to ignore. Fathers of the two from ab initio were proactively involved in the struggle for ending the autocratic rule in the state. For their centrality in the struggle and proximity to the top leadership, the two besides being an eyewitness to the day to developments also witnessed the happenings, not in the public gaze. In publishing memoirs of their fathers, decades after their death they documented a good part of our history that otherwise would be lost to paper shredders- never to be retrieved. In 2017, Javed Makdoomi, in publishing memoir of his father Peer Mohammad Afzal Makdoomi decades after his death has enriched the Kashmir narrative in as much as bringing out some important nuances and niceties of the struggle of people for ending the jaundiced and unjust rule of Maharaja Hari Singh. Though, the memoir ‘Kashmir Ki Tahreek-e-Azadi’ cover just a few initial years of the struggle but for Makdoomi being an insider and close witness to the day to day happenings from 13 July 1931, it is of quite a significance for ordinary students of Kashmir history, researchers and scholars for telling the whole truth that after 1947 mostly suffered expediencies. The period that the journal covers is crucial because it attracted different contesting forces from outside British India to the state that shaped the contours of the movement that ultimately led to the political uncertainty, people continue to suffer to this date. The most exquisite details that with high precision the calligraphist in Afzal Makdoomi has brought out sufficiently explain how these forces interplayed to the disadvantage of the people of the state. And it was the leadership that out of naivety, expediency or peanut material gains allowed space for these contesting forces to play their games on the Kashmir turf. The memoir with all subtlety tells us, there was resentment against these forces within the Muslim Conference. The birth of the Youngmens Muslim Association with the patronage of Molvi Mohammad Syed was its first bold manifestation. The memoirs would be of immense help to researchers in separating the chaff from the grain. 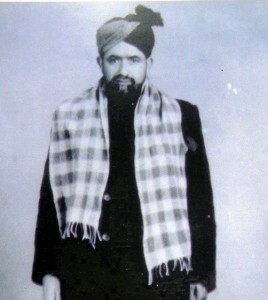 Munshi Ghulam Hassan, an octogenarian published memoirs of his father Munshi Mohammad Ishaq in 2014, forty-five years after his death. Munshi Ishaq has been an important leader of the Jammu and Kashmir Muslim Conference, the National Conference and the Jammu and Kashmir Plebiscite. He dissented with Sheikh Abdullah for participation in 1969 Municipal elections; those were a prelude to 1975 Indira-Abdullah Agreement. So his memoirs that encompass forty years of highs and lows of the movement occupy pre-eminence in connecting many missing links in the Kashmir narrative. The journals provide us an eyewitness account about the conversion of the Muslim Conference into the National Conference. And how the process for it started in 1934 when Sheikh Mohammad Abdullah in partnership with Prem Nath Bazaz began a weekly newspaper. Through the column of this newspaper, Bazaz articulated his ideas for changing the course of the movement started by the Muslim Conference and rehashed its narrative as contained in the resolution passed on October 15, 1932, at the inaugural convention of the party. “In 1934, Bazaz emerged as chief advisor of Sheikh Abdullah and after completing the mission (conversion of the Muslim Conference into the National Conference) bade him on the pretext of Devanagari script.” Bazaz and few of his associates favored changing of the perso-Arabic script of Urdu to Devanagari- and recording the proceedings of the organization in this script only. Informing us how the Kashmiri Pandit descent Prime Minister, Hari Krishan Koul through his Machiavellian machinations and divisive tactics sowed seeds dissension between Mirwaiz Molvi Mohammad Yousef and Sheikh Mohammad author quoting his conversation with Assadullah Vakil tells us how the vested interests played more significant role in widening the gulf between the two to the disadvantage of Muslims. 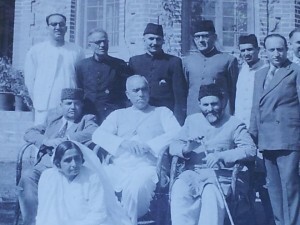 The memoirs published under the title ‘Nidaa-e-Haque,’ brings many crucial developments from the late thirties to 1947, which immensely contributed to the birth of the Kashmir Dispute. The role of Jamiat Ulema-e-Hind in the Radcliff award in handing over Gurdaspur to India is a new dimension to the Kashmir story that could be a subject for the researchers. Moreover, if the British were informed about the Afaradis joining the Poonch rebellion for driving out the troops of the Maharaja from Kashmir is yet another angle that needs to be explored further. The author quotes a conversation that he overheard in a rest house at Kohala, on his way back to Srinagar from Rawalpindi in 1947. He was one among others present during the discussion between Dr. Mohammad Din Taseer and Sheikh Abdullah, at latter’s residence in Soura. Taseer had invited Sheikh Abdullah to Pakistan for meeting with M.A. Jinnah on the question of accession, complete autonomy, even total independence. ‘Sheikh was lukewarm at the invitation. Munshi tells us that he told Abdullah, ‘given to the situation he must give a firm answer to the delegation, which he did not.’ In his autobiography, Sheikh Abdullah mentions about the meeting, but he did not give us details about the discussion and the proposals from Karachi. The story of the Plebiscite Front, though of the recent past is least told. After its protagonists bartered away the movement for self-determination they had led for twenty-two years for power, the majority of them chose not to talk. Munshi Mohammad Ishaq’s biography that brings out some more exceptional details about it can help historians to tell the whole story of the Plebiscite Front. I did not intend to review these memoirs, but the intention of writing about them has been to focus on the importance of bringing into the public domain the diaries and journals recorded by central characters of the struggle. The society in general and the kith owe it to them owe it to them. 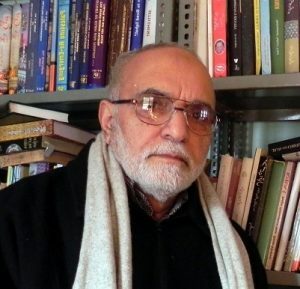 In early 2006, Ghulam Nabi Hagaroo told me that his memoirs covering the whole of the Plebiscite Front movement and beyond was almost done and needed some finishing touches. Khawaja Saddar Uddin Mujahid youngest member of the Muslim Conference to be exiled by the Maharaja and one amongst the seven founding members of the Plebiscite Front was also writing his memoirs. Munshi Ghulam Hassan in his introduction to Nidda-e-Haque writes, another member of the Plebiscite Front had also written his memoirs which he could not publish before his death. Memoirs are mentors, which identify strengths and weaknesses of the social and political movement, they should not be left on cupboards to be feasted upon by silverfishes but passed on the posterity.